The brothers grew up in the Fox Point and South Side neighborhoods of Providence and Tavares says, “The good Lord has seen fit to keep us all together.” The most notable moment he remembers from his long career is when The Bee Gees gave his group “More Than A Woman,” one of the key songs in the score to Saturday Night Fever, for which they won a 1977 Grammy Award. 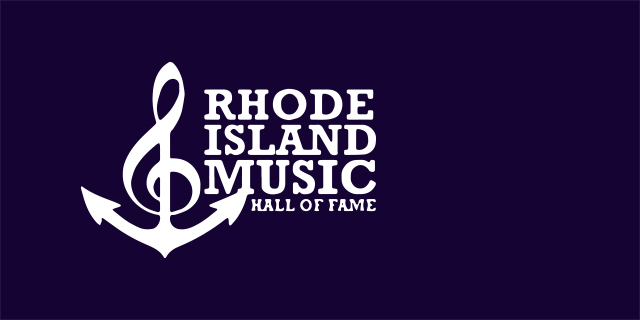 But running a close second is being inducted into the Rhode Island Music Hall of Fame. “It’s quite an honor to be recognized for your music in the place where you were born,” states Tavares. 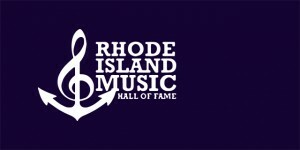 With just two weeks to go until the induction of this year’s class into the Rhode Island Music Hall of Fame (RIMHOF) on May 4, at The Met at the historic Hope Artiste Village, Vice Chair Rick Bellaire gives this columnist the details about those who are being recognized as Rhode Island’s best. According to Bellaire, from their earliest days in the Fox Point neighborhood of Providence, it was clear the seven Tavares brothers were born to make music. They are recognized as pioneers in the evolution of R&B from the soul era into the modern funk and disco movements of the ’70s and ’80s. They had over a dozen major hits and won a Grammy for “More Than A Woman,” their contribution to Saturday Night Fever. “But,” says Bellaire, “the best part of the Tavares story for me is not about how great they are or how successful they are. Everyone knows that. For me it’s about their journey. They worked really hard to get to the top. Their story will continue to inspire young musicians for decades to come.” Tavares will appear in concert on May 3 at Lupo’s Heartbreak Hotel. The Castaleers are recognized as the state’s rhythm and blues trailblazers. They came together in the mid-1950s when members of various groups formed a permanent lineup consisting of Richard Jones (later replaced by Joe Hill), George Smith, Dell Padgett, Ron Henries and Benny Barros. In partnership with songwriters/producers Myron and Ray Muffs, they had four national releases and paved the way for the rest of Rhode Island’s R&B greats. Paul Gonsalves of Pawtucket started out playing tenor sax in big bands including Count Basie’s. As a master of many styles, he became a pivotal figure in the evolution of post-war modern jazz. He joined Duke Ellington in 1950 and provided a crucial ingredient in the modernization of Duke’s sound. His place in the history books was guaranteed by his famous 27 chorus improvisation on “Diminuendo and Crescendo In Blue” at the 1956 Newport Jazz Festival. Randy Hien of Woonsocket entered the music business in 1971 when he took on the job of reopening the old Loew’s State Theatre as The Palace in downtown Providence to present rock & roll concerts. When the Palace closed 1975, Randy purchased the original Living Room on Westminster Street by trading the keys to his Jaguar XKE for the keys to the club and the liquor license. 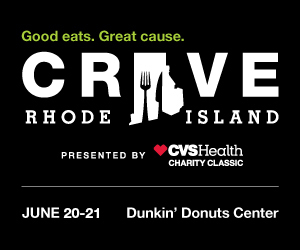 He kickstarted Rhode Island’s original music scene by instituting a policy that welcomed bands who performed their own music. The club became the center of the state’s music scene and Randy its biggest supporter. Rhode Island Philharmonic Orchestra founder and conductor emeritus Francis Madeira initially came to Providence to teach music at Brown University in 1943. Finding no professional symphonic orchestra, he created one, bringing together a 30-member ensemble that would bring the music of the European masters to the Ocean State. Maestro Madeira will be inducted into RIMHOF on May 10 during a performance by the Philharmonic at Veterans Memorial Auditorium in Providence. Winston Cogswell of Warwick was literally present at the birth of rock & roll after moving to Memphis, Tennessee, in 1954. At Sun Records, as a guitarist, pianist, songwriter, arranger, producer and recording artist under the name “Wayne Powers,” he collaborated with some of the most important figures in music history including Johnny Cash, Jerry Lee Lewis and Roy Orbison. He returned to Warwick in 1960 and began working with pianist/composer Ray Peterson. The duo formed Wye Records with a third partner, engineer Ken Dutton, and their debut release as The Mark II, “Night Theme,” became a national hit. Wye remains the only Rhode Island label to score a Hot 100 hit. Freddie Scott of Providence moved to New York in 1956 and began his career as a songwriter for Don Kirshner working alongside Carole King, Neil Sedaka and Paul Simon. His songs from this period were recorded by Ricky Nelson, Paul Anka, Tommy Hunt and Clyde McPhatter. Freddie entered the charts as a singer himself in 1963 with “Hey Girl,” written by his friends Carole King and Gerry Goffin. It hit Billboard’s Top 10 and is considered a classic today. In 1966, he scored a #1 R&B song with “Are You Lonely For Me.” His last album was Brand New Man in 2001.